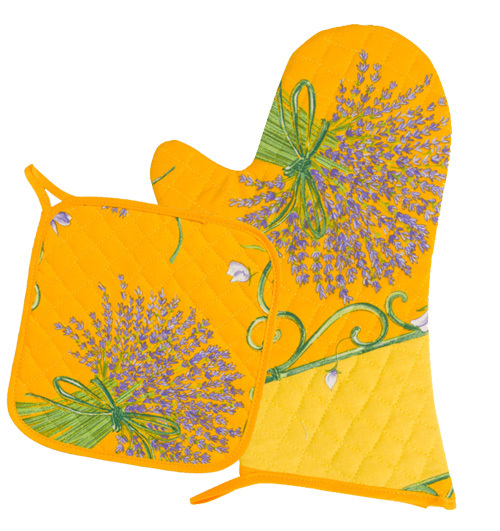 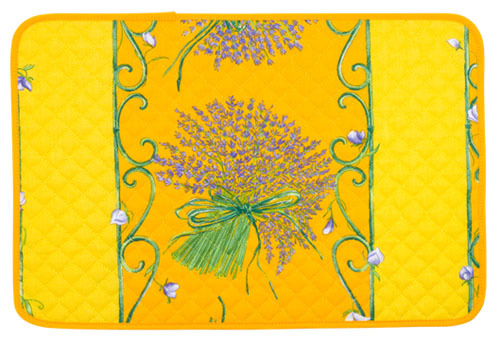 Jacquard multi-cover (lemon & small flowers. 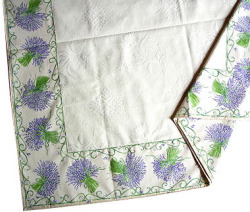 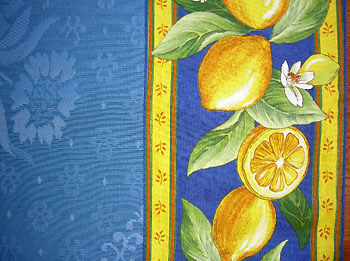 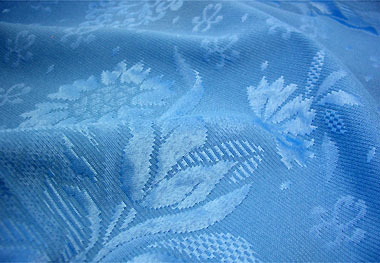 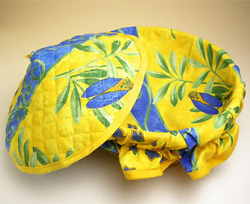 blue) French Jacquard Provence Table Top Cloths :: square - Euro58.00 : Provence Decoration, The Provence tablecloths and products online shop from Nice - France, worldwide delivery. 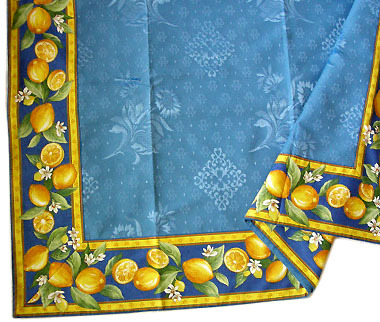 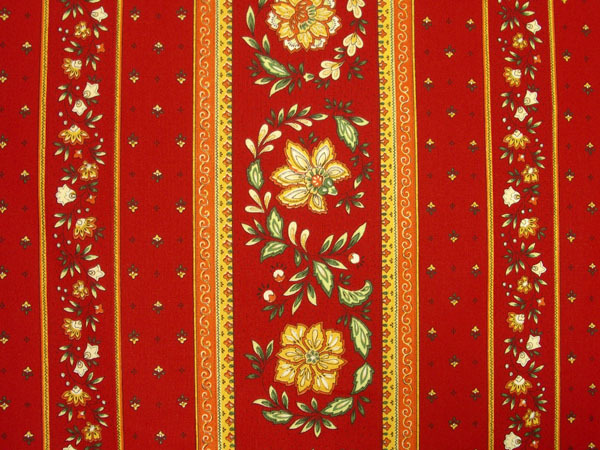 A very elegant atmosphere emerges from this Damask Jacquard tabletop woven of sunflowers and Occitan style crosses. 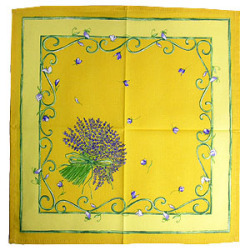 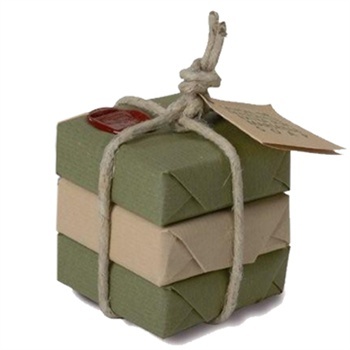 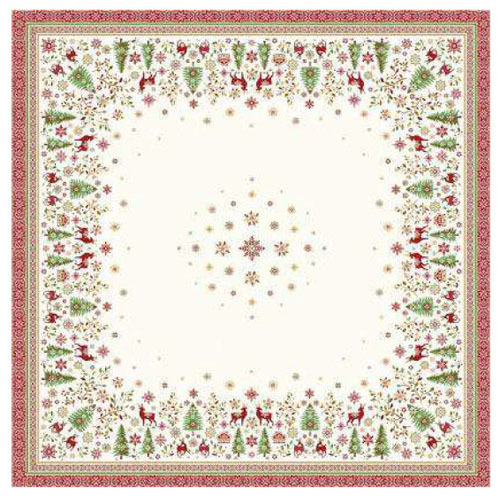 It is framed by a 100% cotton Provence print fabric representing traditional Provence patterns. 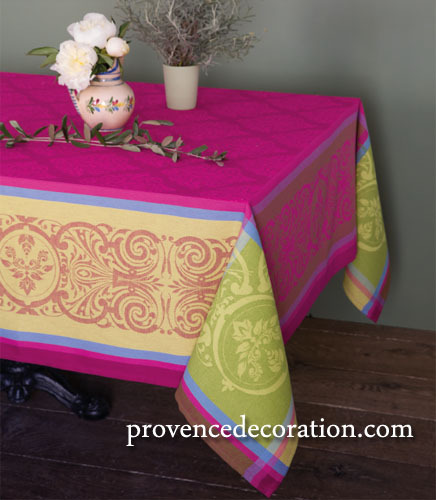 This French Jacquard tabletop is made of a blend of 60% yarn dyeing cotton and 40% polyester to retain only the best of both fibers: durability and easy care combined with a beautiful Damask sheen and a sharp finish. 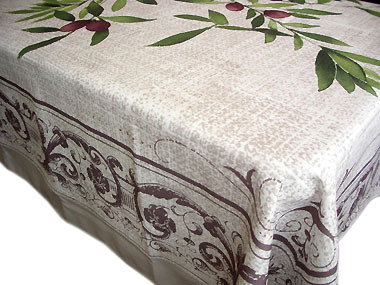 This damask tabletop can be used on a round table over the matching tablecloth of your choice in it's square configuration. 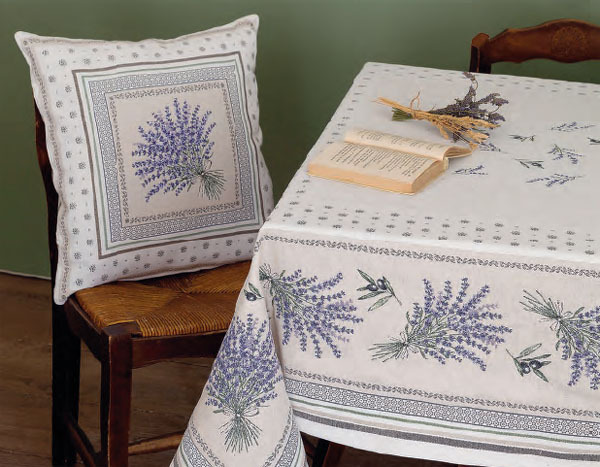 With this yarn dyeing Jacquard tabletop combined over a skirt of a matching color you are sure to lay the base of your table setting with a deep Provencal identity.